Why do writers write? Do they just suddenly come up with stunning ideas? Do they desire to tell others something or want to leave their legacy and personal history for others to enjoy? One writer started on her journey to become a writer when her university professor asked, “What can you do to save the world?” The topic was close to her heart and she wrote a reply from various distinct domains. She submitted her paper to a contest and she won a prize. Later the paper was extended and it got published. 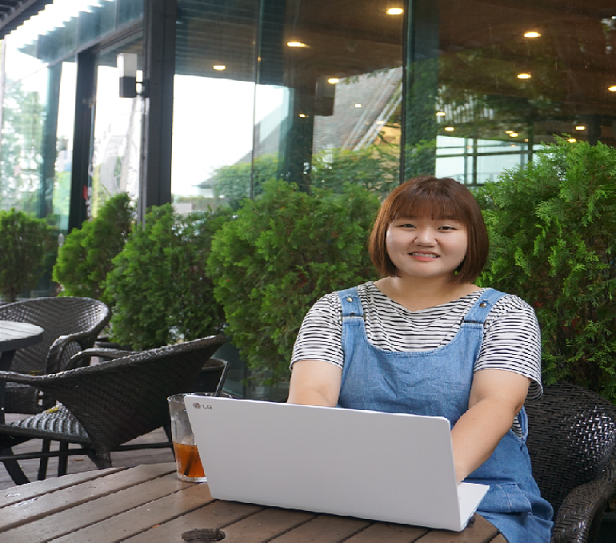 Her main goal is to write stories that have positive results. 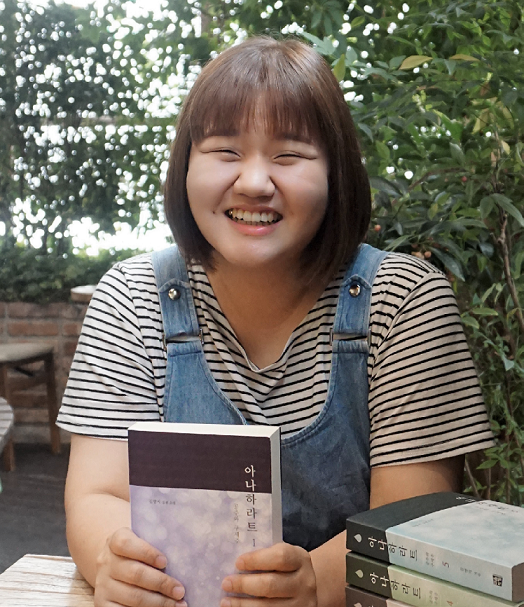 SMT reporters met Kim Youngji, the author of ‘Anaharath’ and ‘Philia Rose’. Q. Thank you for granting us this interview. Before getting started, would you please introduce yourself to our readers? Yes, certainly. My name is Kim Youngji. I went to university and majored in Social Welfare. After graduating, I got a job in the field and stayed at the job until 2015. 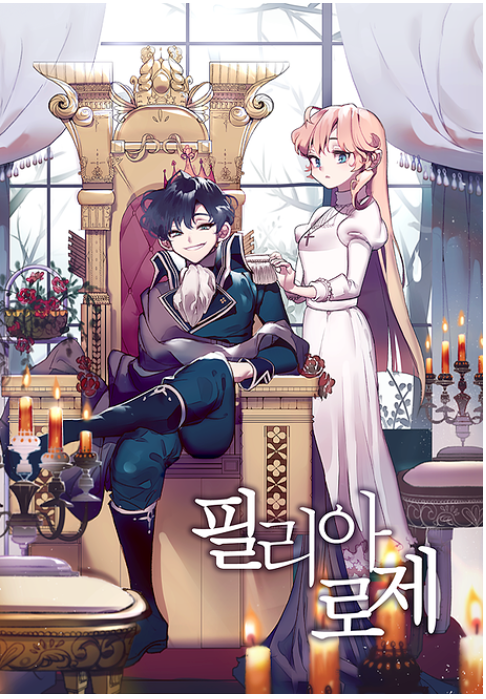 In 2015, I won a prize in the Naver Web Novel Contest, which was also my debut as a writer. 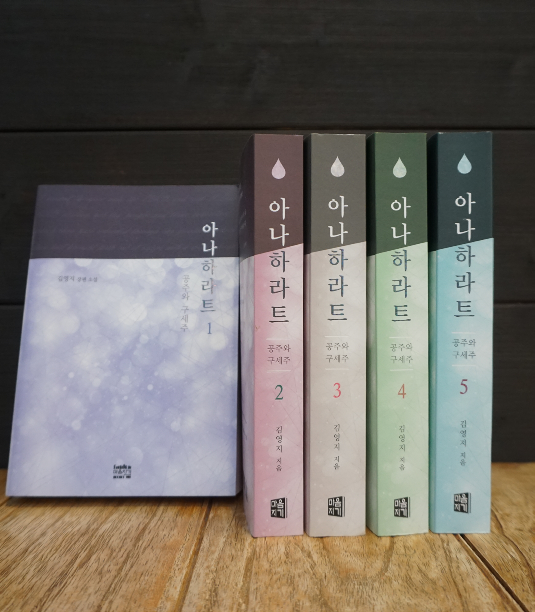 I published my work ‘Anaharath’ online with Naver and later in hardcopy as a paperback book. Currently, I’m working online publication of my second book ‘Philia Rose’. Q. 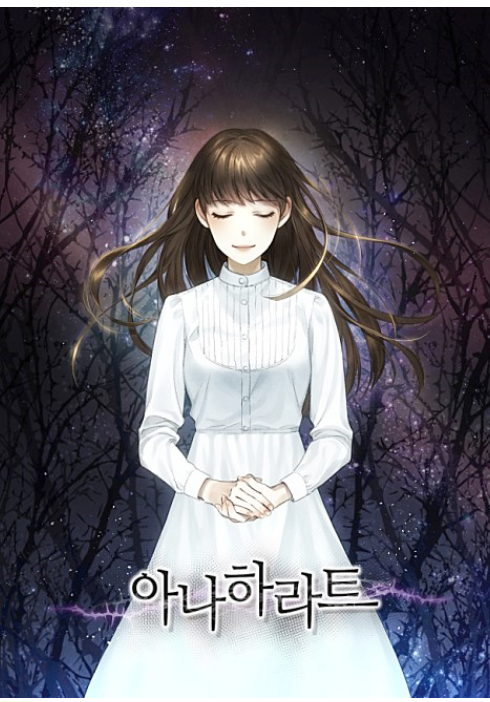 Web novel publications differ greatly from typical novel publication. Would you like to tell us more about the process? I awake and write. I sit and write. Basically, whenever I get the time, I write. My writings are continual, so I should write about 14 pages of A4 size every two weeks. Unlike general novels that bind and publish all chapters at once, a web novel is published sections at a time. If the storyline dwindles or doesn’t spark curiosity, readers will stop reading and the novel will be forgotten. You may think a web novel as soap opera. I work to a weekly deadline and include guidelines for illustrations once a month. Although the illustrator reads the manuscript before online publication, I need to provide extra details about scenery, the setting, characters, and clothing. Lastly, I write a few words from the author, myself, and I write hashtag in order to promote each section’s publication. I repeat this process over and over again, weekly and monthly. Q. I’ve read your novel. The connection between your outlook on the world and your ideas are clear. At the same time, I feel you have incorporated religion as well. Could you tell us where you get your inspiration or ideas? Also, would you give our readers tips for writing? Because I write from within, my writing cannot but reflect my emotions. To be honest, I am a Christian and having worked as a social worker, I am sure those have greatly influenced my writings. I guess I had been a Buddhist, I would have added ideas about samsara, but that’s not how I understand the world so I can’t use those philosophies. I see the world through the eyes of a devote Christian. Everyone should go through pain and find their route in life. It’s inevitable that my view appears in my work. In regard to inspirations and ideas, well, they come from my experiences. For example, in case management in social welfare, there is an activity that provides mental or financial support to a person in need of it. The early plot in my second novel, ‘Philia Rose’ incorporates case management. I describe the process of approaching a highly dangerous person to learn about his needs and explore possible ways of moving forward together. In case management, the person one is seeking to help will often express resistance, stubbornness, and even refusal to accept help. Knowledge of case management inspires my storyline development and eases writing. Q. According to your blog, you are both a writer and a company employee. Does your work at the company ever interfere with your writing? How do you overcome it? I am always without enough time. Writing deadlines is one thing, and my company work is another. I try to always keep them separate. At my company, I hold broad general meetings and work together with all kinds of people from around the city and District (Gu) Community Service Center. I need to devote my time to my business, so I often work until late at night, and with little rest, I endure the next full day of work. When I first started writing, I was a university student and was told what was ‘right and wrong’ and trusted theoretical teachings, so I wrote without conflict of thought. However, working in policy on various projects, I’ve encountered the real world and everything isn’t black and white; it’s more grayish. I get confused on the direction of life because I know now it’s not a straight line even though I’m considered an idealistic author. I hope now my company work has shown me a different perspective and is the driving force behind my story writing. Q. What is the most memorable or rewarding aspect of being a writer? I am happy when I see the number of people who have read my novel and posted comments on it. I enjoy writing about things other than love, like character sufferings and prevailing over difficulties in life. Because I’m a realist, readers often say they feel more sympathetic to the character and identify with the character. A number of readers have said they feel a sense of catharsis and recovery once the protagonist has risen above the conflict. I guess it’s these comments that give me the greatest happiness as a writer and motivate me to continue writing the rest of the story. Q. What affect do you think your writings have on others? I hope my novel helps others in need. I don’t believe it will be life changing, but I hope it influences readers and they reflect on themselves and their surroundings, maybe even give them the courage to make small changes to their lifestyle or path in life. If I manage to do this for even one person, I will have become a successful writer. Q. As a writer, what are your future plans and goals? First, writing novels. Over the years since I began writing, my personal affairs have increased, so it has cut into my time to write, but I am devoted to producing a story that is both absorbing for readers and leads to change for those that most need it. More recently, though, I’ve started to look at Webtoons, and I realized that cartooning involves more diversified writing genre than web novels, so I have started to participate in Webtooning. I really want to get closer to my readers on issues such as mental illnesses and more contemporary dilemmas, so this form of writing may be the way to start this form of conversation between myself, the writer, and my readers. Also, I’d like to start a storyline that centrers around social work so that society comes to view this type of work as beneficial to humanity. Q. Lastly, what would like to say to Sookmyungians who dream of becoming writers? The life of a writer is tough, it is very hard to get into the way of writing. So it’s not a job I tend to recommend to most people. However, if you truly love to write, write from the heart. Also, most writers do not enjoy life in the lap of luxury, so I recommend having a fallback job. In my case, I’m a social worker. I think it’s important to keep two professions well to sustain a good living. I know a lot of people believe they must be well-read to become a writer, but I think it has more to do with spiritual nourishment. In my case, deep interest in my social work studies provided me with the stimuli to write. In other words, to become a writer, you need profound interest in something, which will spark your hand to move on the paper.